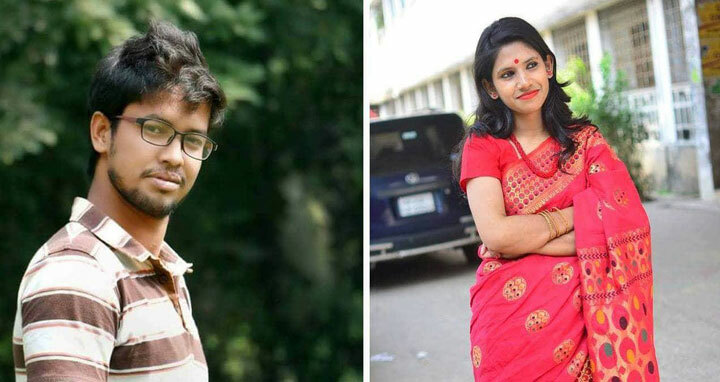 Dhaka, 22 Sep, Abnews: Members of Dhaka University IT Society have elected Sadekul Islam as its new President and Asma Aktar Ety as General Secretary 2017-18 tenure. 65 of 69 voters have casted their votes on Thursday. The eleven members committe was formed by former executive body of the club. Sadekul Islam, Mahmudul Hasan and ANM Fakhrul Amin fought for the the president panel while Mashukur Rahman, Zahid Hasan and Asma Aker Ety fought for the the General Secretary panel. Sadekul Islam recieved 33 votes while his closest oponent Mahmudul Hasan got 19 votes. After getting mandate, Sadekul Islam said, I will strive to do everything in order to promote digital concept of Bangladesh government and to digitize our Dhaka University. Sadekul is a student of masters in Islamic Studies department while Ety is studying at Geography and environmental science.